A circuit breaker is an automatically operated electrical switch designed to protect an electrical circuit from damage caused by over-current, typically resulting from an overload or short circuit. Its function is to interrupt current flow after a fault is detected. Circuit breakers are designed to automatically open if the electrical current passing through them exceeds their ratings. Unlike a fuse, a circuit breaker can be reset to resume normal operation. Circuit breakers primary tasks, when closed, must conduct current as efficiently as possible. When open, they insulate the contacts from one another, and in the event of a malfunction, they must disconnect the fault current as quickly and reliably as possible, thereby protecting equipment. 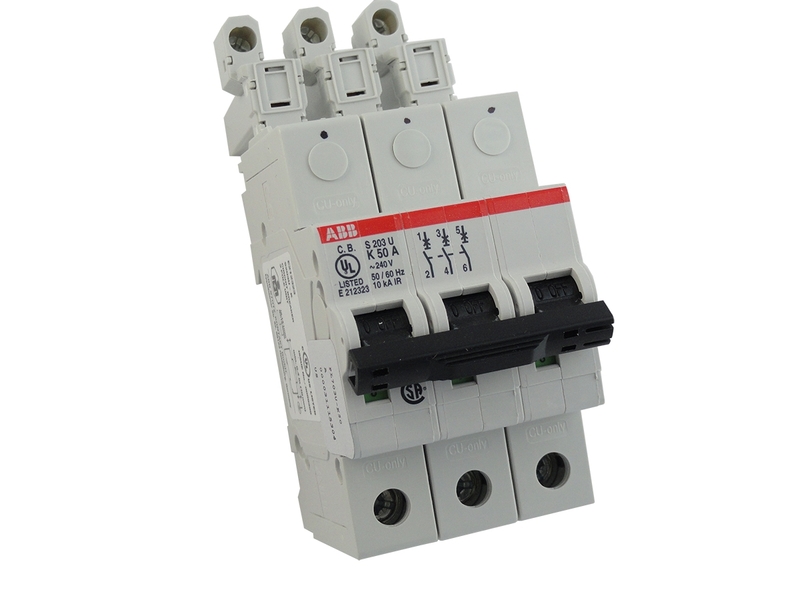 Circuit breakers are switches designed to automatically open if the electrical current passing through them exceeds their ratings, removing electrical power from a circuit. WHY DO CIRCUIT BREAKERS FAIL? One of the main reasons for circuit breaker failure is lubrication. 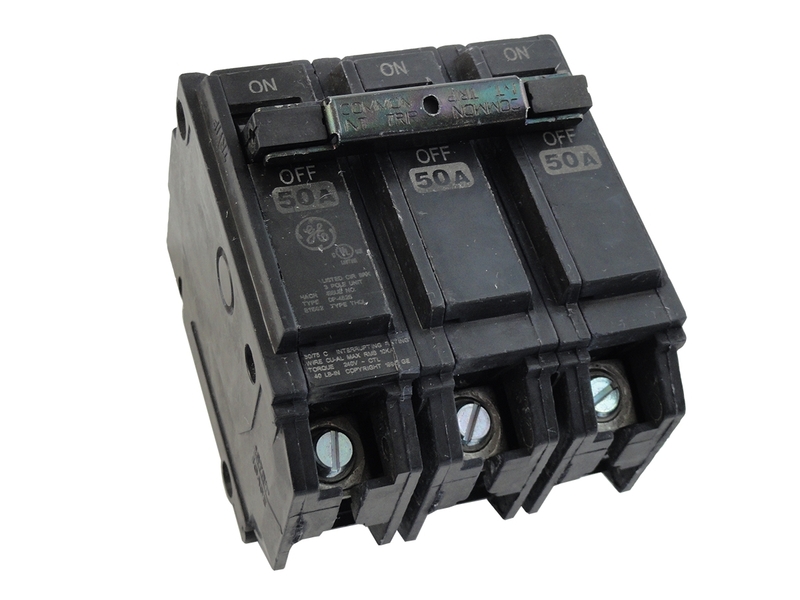 Circuit breakers have physical movements when they open, and the manufacturer typically lubricates the moving parts so that they can function correctly. In some environments, the lubrication can become ineffective over time. Other causes of circuit breaker failure are faulty breaker components, corrosion, dirt, and debris, out of tolerance parts and material defects. When a faulty circuit breaker fails to trip in an over-current event, uncontrolled current flows through the system, causing overheating and increasing the risk of fire and damage to electrical equipment and injury to persons working in the data center. Visual inspection cannot determine where a circuit breaker will work correctly or not. A circuit breakers job is to limit the amount of current flowing on a circuit so that it doesn’t exceed the rated level, measured in amps. Typically durable, a tripped circuit breaker because of a failed device, while rare, does happen. Even a low failure rate spread across thousands of circuit breakers still adds up to a significant number of failures over time, with each failure representing a problem that requires troubleshooting and timely resolution. A failed circuit breaker could lead to the loss of power to a rack or cabinet with dozens of servers accessed by hundreds of businesses or mission-critical applications. Failure to trip in over-current conditions can lead to overheating and fire. Overheating can damage a circuit breaker so that it no longer operates correctly and fails to trip when needed in an over-current situation, increasing the risk of fire. PDU Cables performs a visual inspection of each circuit breakers molded case, to make sure the case is intact and has no visual defects from the factory. Each circuit breaker is tested to ensure proper operation in an over-current situation. 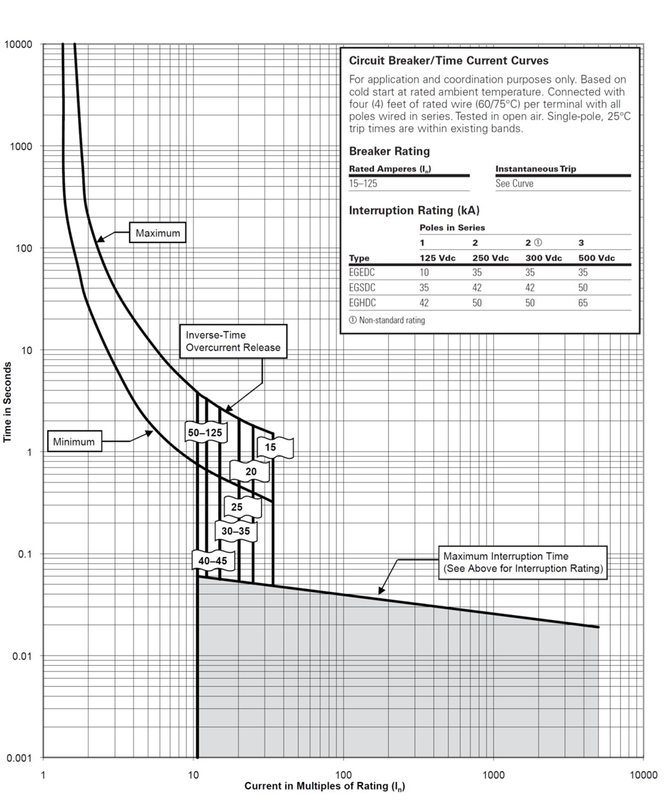 This test is based on the trip curve provided by each circuit breaker manufacturer, meaning each breaker will be tested and either pass or fail based on manufacturers exact specifications. A benefit of having this test performed by PDU Cables, is that the mechanism that trips inside of the breaker can become stiff as it sits idle, and will therefore take slightly longer to trip when subjected to an overcurrent situation. By pre-testing circuit breakers, customers can be assured that 1) the circuit breaker they are receiving is guaranteed to operate correctly per the specifications provided by the manufacturer, and 2) the circuit breaker they are receiving has recently been tripped in a safe manner, ensuring that the mechanism in the breaker is operating freely. Like joints in a body, regular exercise can extend the active life of a circuit breaker. 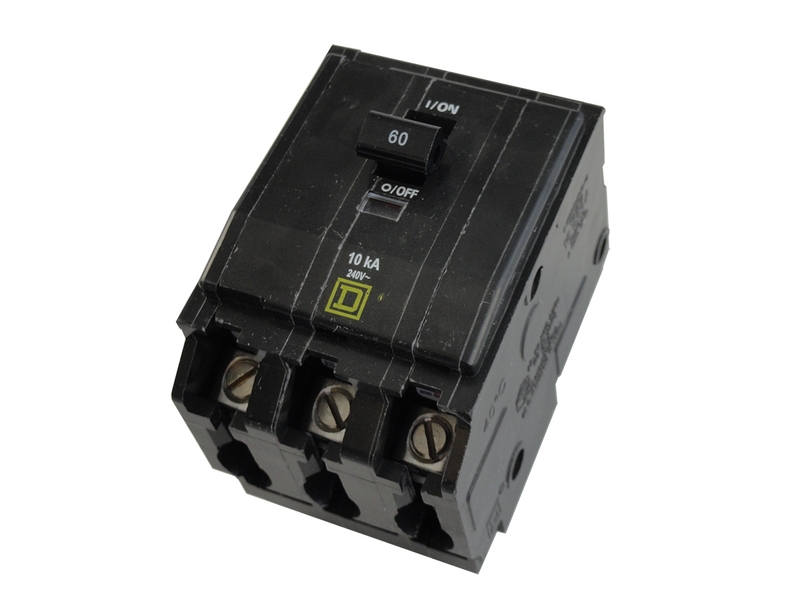 Molded case circuit breaker must frequently be operated, toggled to an open and closed position, to ensure main contacts are clean and to spread internal lubrication materials evenly. Molded Case Circuit Breakers (MCCB) use a temperature sensitive device, with a current sensitive electromagnetic device to provide the trip mechanism for protection and isolation purposes. Electrical fault protection enables circuit breakers to provide overload protection against short circuit currents, and electrical switch for disconnection. 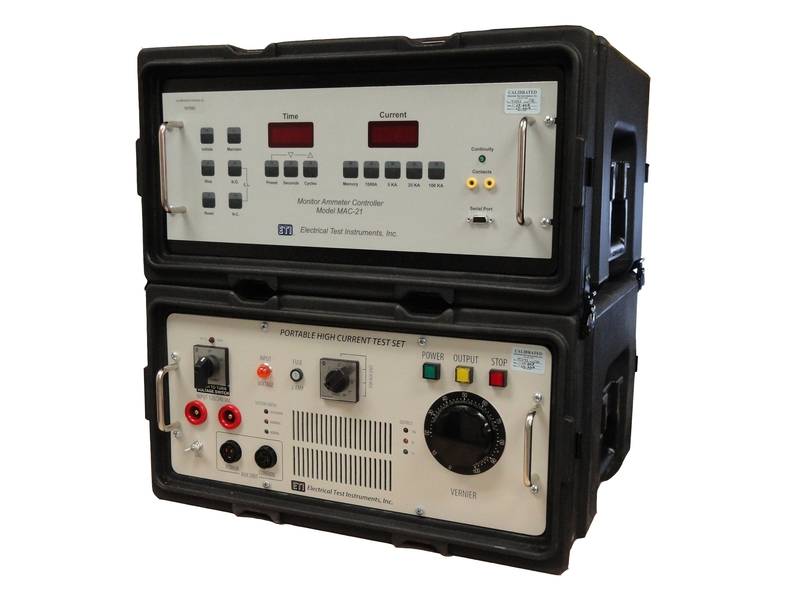 If you'd like to know more about PDU Cables Circuit Breaker Testing program, give us a call (866) 631-4238.